Helen Reed is an award winning Interior Designer living in Richmond, Virginia. 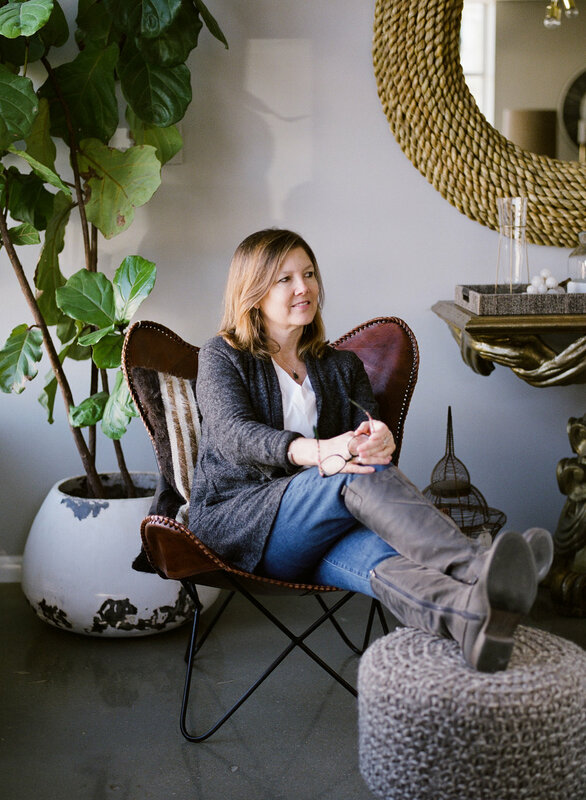 Her experience has ranged from a Project Interior Designer for an Architectural and Interior Design Firm to working as a manufacturer’s representative where she took time to learn about the manufacturing process of interior materials and furniture. In 1998 she launched her own firm specializing in Restaurant, Retail, Spa and Residential Interior Design throughout the East Coast. In addition to Interior Design Helen is also a contemporary painter who creates art pieces for several of her own projects. She is in the process of converting several of her designs into wallcoverings and custom carpets. In 2013, Helen Co-Founded Uplined.com, a technology company that provides cloud storage for both residential and commercial properties. The platform establishes maintenance reminders so that the building’s owner can take better care of their building while keeping connected to that building’s service teams. Helen has also served on the Executive Board of NEWH, Inc. from 2006-2017. She served as President from 2010-2011. NEWH is an International Non-Profit that has provided over $5 million in scholarships to students that want to work in the hospitality industry. Helen still sits on the International Board of NEWH as Director of Internet Communications. In addition, Helen is also on the Board of Modern Richmond and is currently on the committee working on the first book being published by Modern Richmond celebrating their first 10 years of tours.